The National Milk Producers Federation (NMPF) and the International Dairy Foods Association (IDFA) applauded the withdrawal this week of a series of bills in the Tennessee state legislature that could have increased consumers’ risk of foodborne illness by encouraging the use of raw milk. The Tennessee state senate and its state general assembly each considered adopting a pair of bills meant to increase the availability of raw milk products: SB 1913 and HB 1963 would have removed existing regulations prohibiting the direct sale of raw milk butter; while SB 2104 and HB 2229 would have exempted raw milk and dairy products sold from a home kitchen from licensure, inspection and regulation. The Tennessee general assembly did not approve either bill, effectively killing the effort this year to pass both measures. The dairy groups earlier this year had advised state lawmakers in Nashville to oppose the proposals, given that passage of the bills likely would have increased the production and consumption of unpasteurized products that have a significantly higher likelihood of spreading disease-causing bacteria. 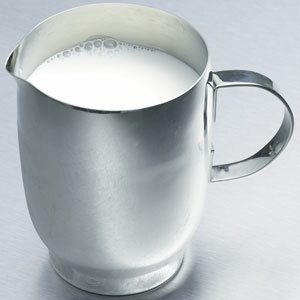 In correspondence earlier this winter, the two organizations provided Tennessee lawmakers with overwhelming evidence collected by the U.S. Centers for Disease Control (CDC) linking the increased availability of raw milk products with a rise in serious human illnesses. In data collected between 2009 and 2014, CDC researchers concluded that unpasteurized milk is 840 times more likely to cause food‐borne illness than pasteurized milk, and such illnesses have a hospitalization rate 45 times higher than those involving pasteurized dairy products. The CDC has reported nearly 75% of raw milk‐associated outbreaks have occurred in states where sale of raw milk was legal. The organization recently updated its consumer website to explain the dangers of consuming raw milk products. The two national dairy associations noted that there is no benefit or positive health outcome substantiated in any medical literature linked to the consumption of raw milk. “While choice is an important value, it should not pre‐empt consumers’ well‐being. To allow the state‐wide sale of raw milk or any dairy product when sold from a home kitchen is an unnecessary risk to consumer safety and public health,” Mulhern and Dykes told lawmakers.